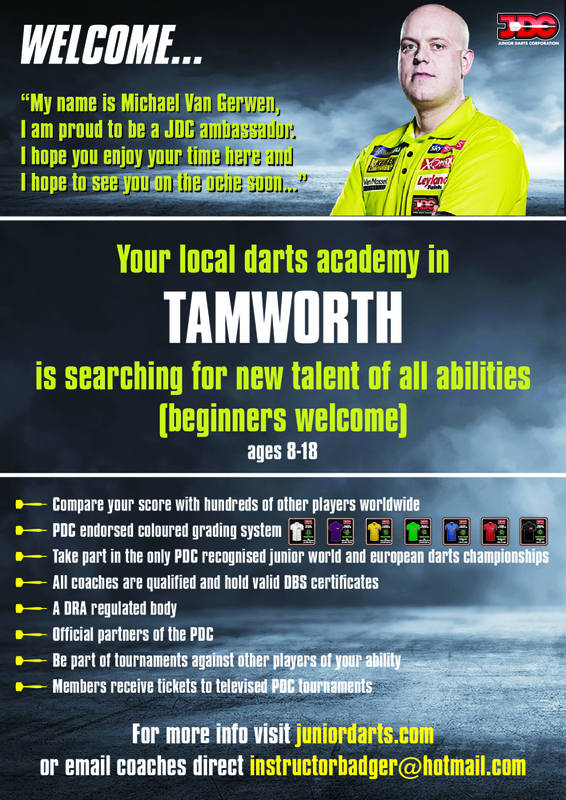 Scott Farms International will be the new 2019 Junior World Darts Championship Sponsor. The Scott Farms International Junior Darts Tour returns to Manchester with another double header in the North West. 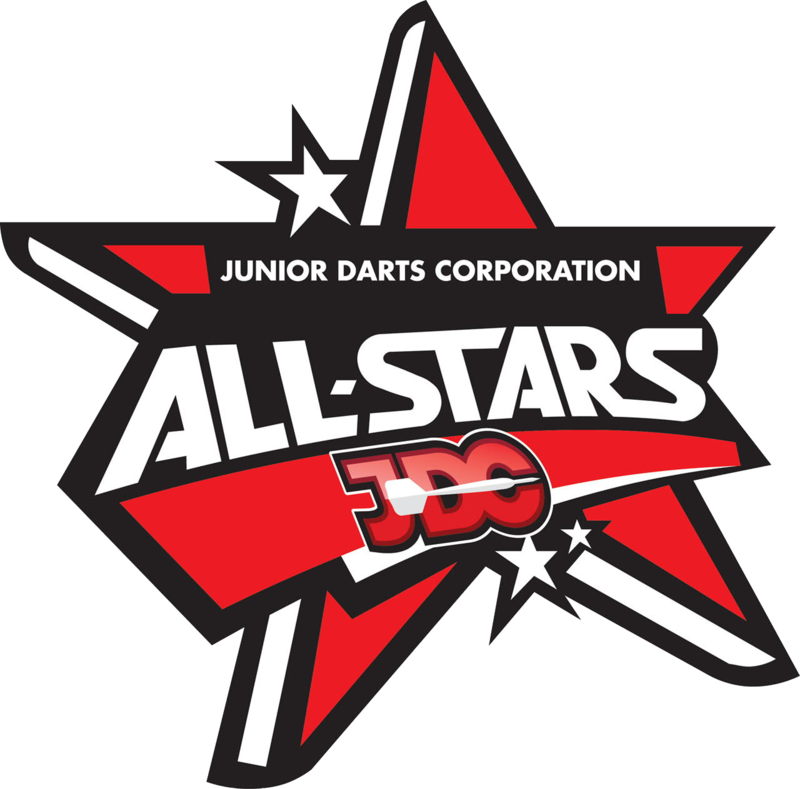 The Junior Darts Corporation will continue to support the Juvenile Diabetes Research Foundation as its chosen charity. 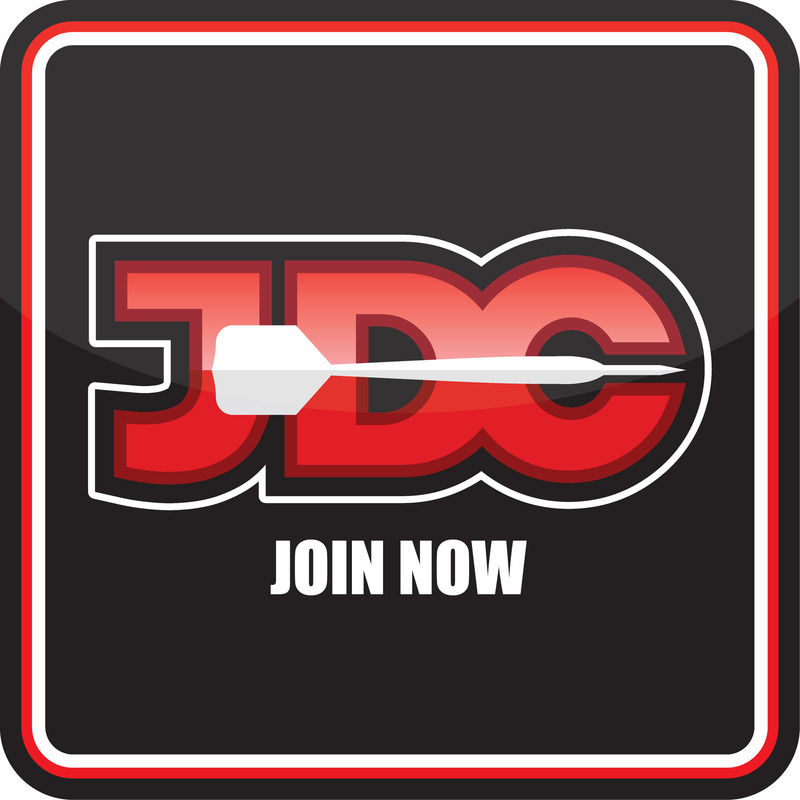 The JDC will continue to support the JDRF by raising awareness and funds for the charity at its events in 2019. 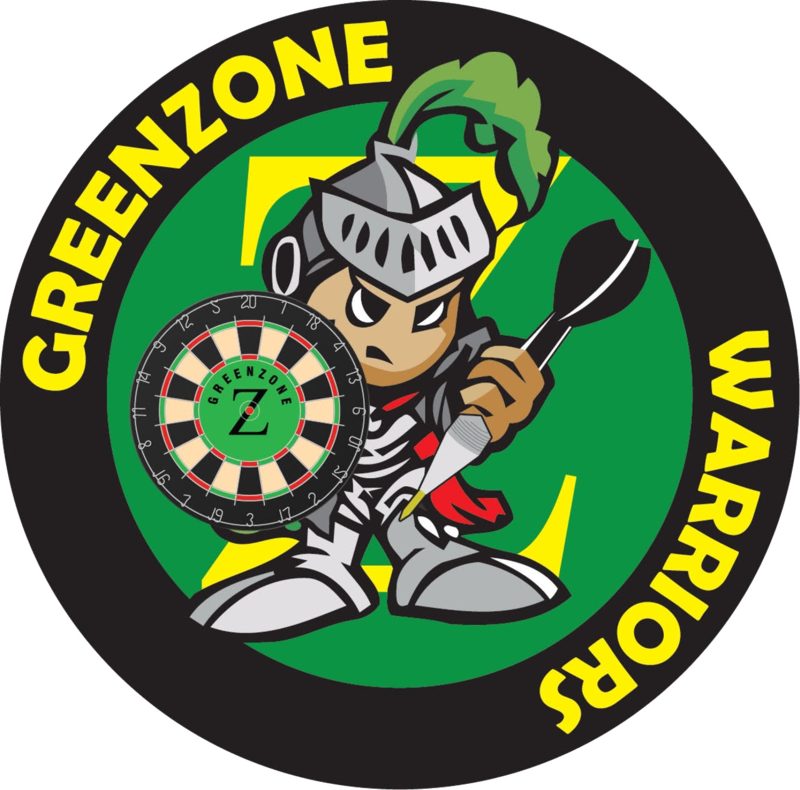 In particular the Greenzone development tour in 2019 will become the main area that the JDC can raise awareness as it travels around on the tour. Portsmouth, Worcester, Cinderford, Tamworth, Dudley, Stafford, Wolverhampton and Paignton will all be visited this year. 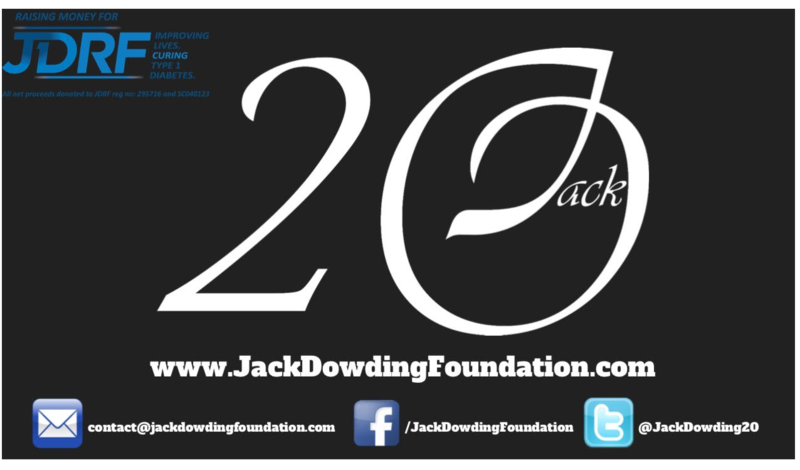 The JDC will be working along side the Jack Dowding foundation to donate through and continue its work in 2019. 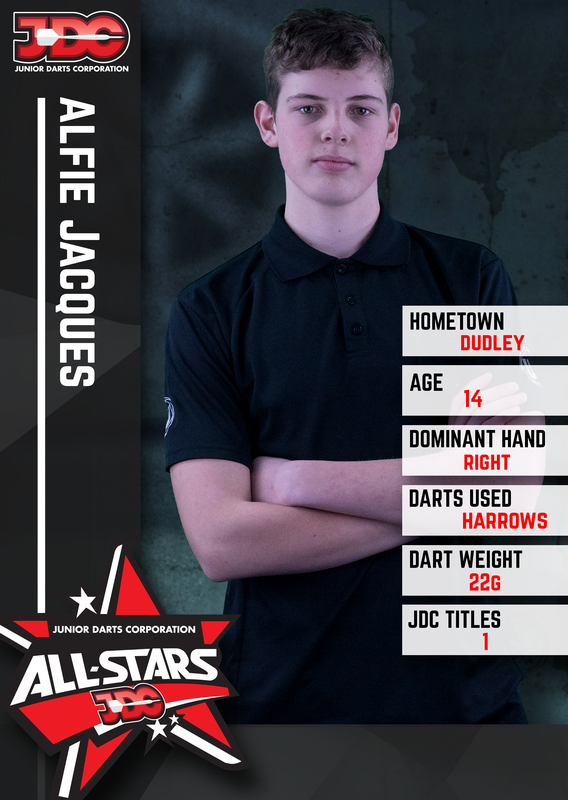 Jack was mad on his darts and makes the relationship the JDC has with Jack more pertinent. If you wish to help the JDC raise funds you can donate online through the Jack Dowding foundation. 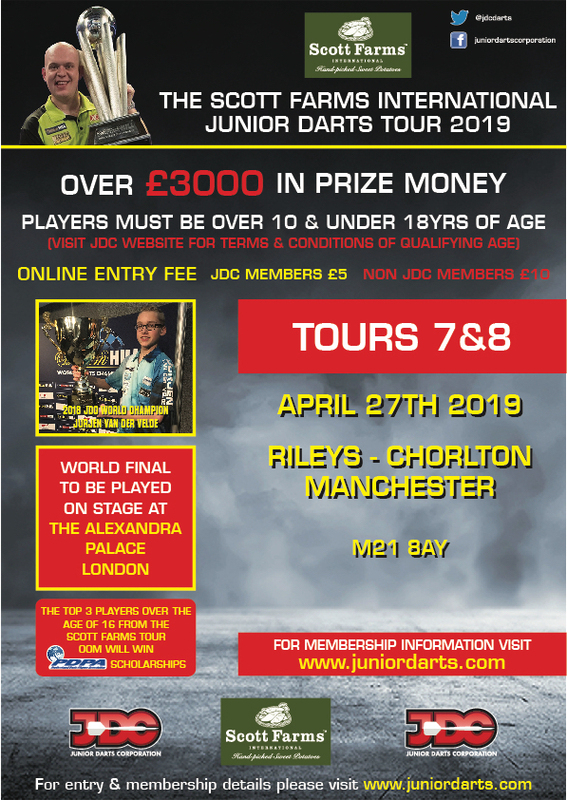 The final two tour events for the Scott Farms International 2019 tour have been moved to June 1st. 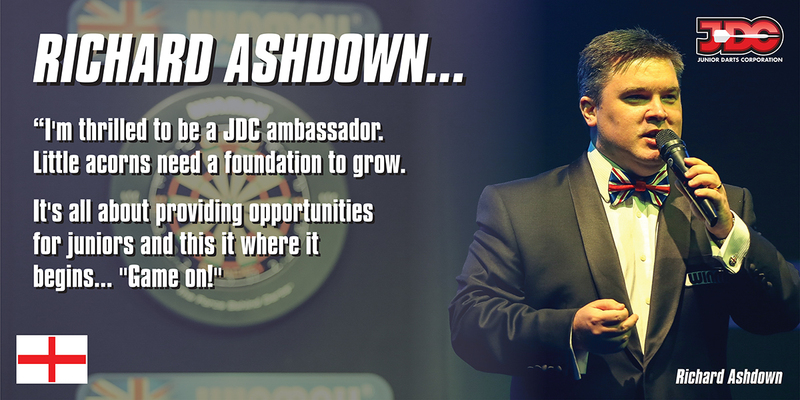 JDC Ambassador Richard Ashdown will join the JDC for 3 days of competition in Gibraltar. 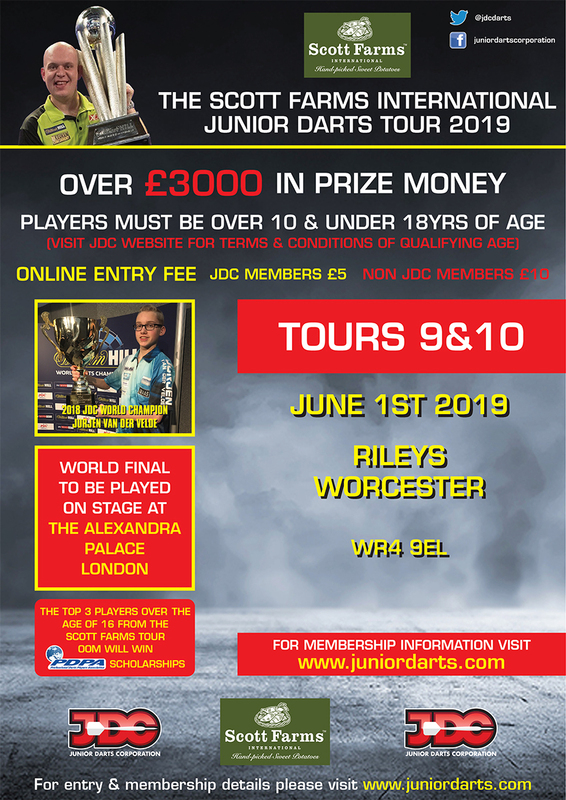 Leighton Bennett was at the double as he took both JDC Scott Farms International UK Tour titles at Riley’s Solihull on Saturday afternoon. 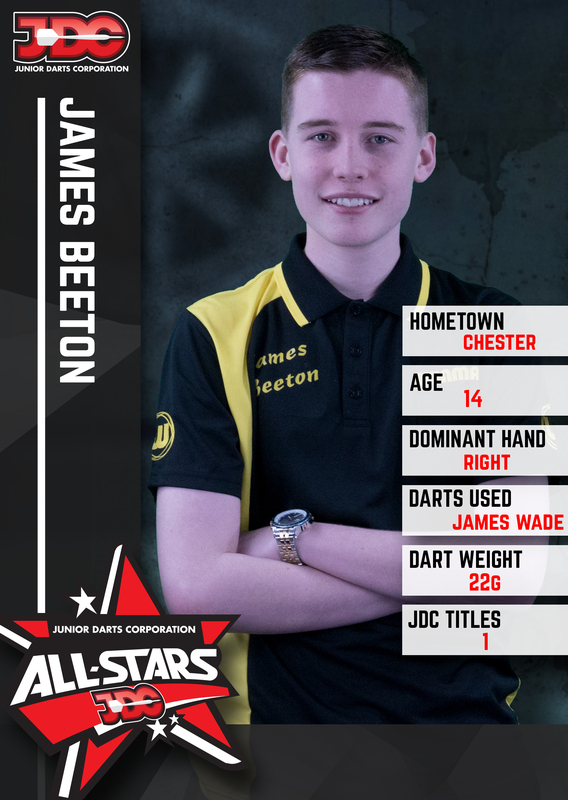 The 13-year-old defeated the impressive James Beeton in both finals to extend his advantage at the summit of the order of merit. 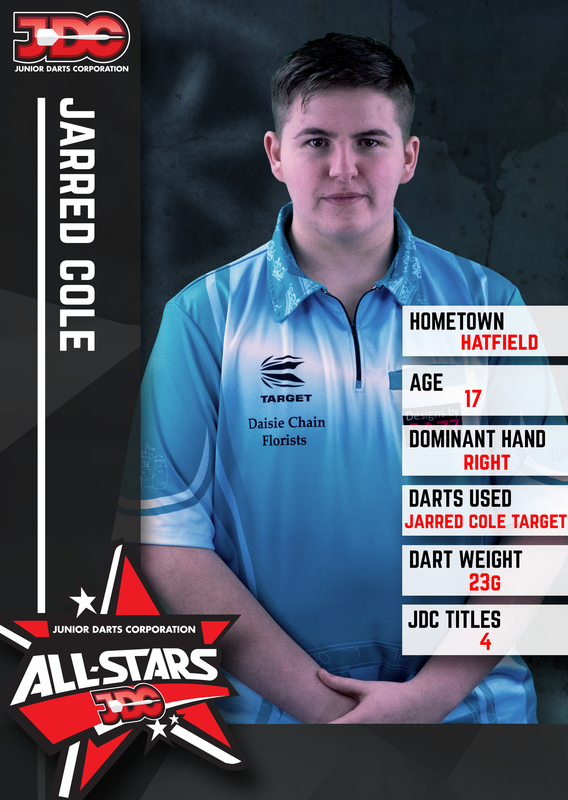 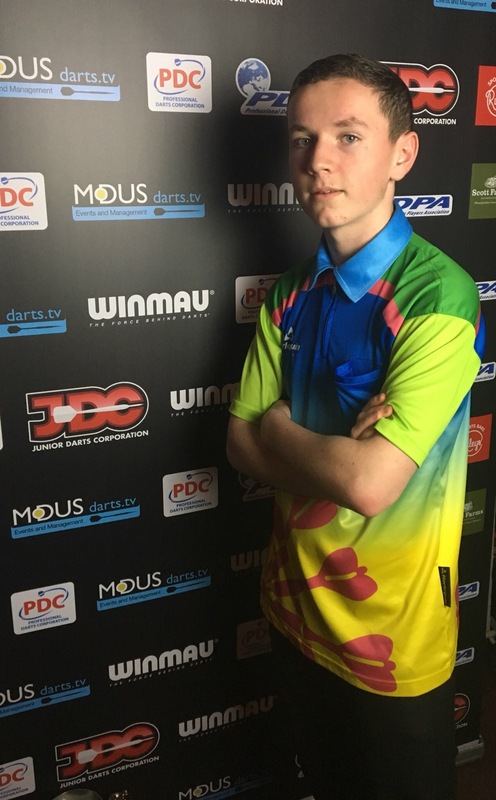 The West Midlands has produced some sensational darts players in recent years and with the likes of Jamie Hughes and Scott Baker recently adding to the list by gaining their PDC Tour cards in January, Wolverhampton could once again be on the brim of producing world class darting talent. 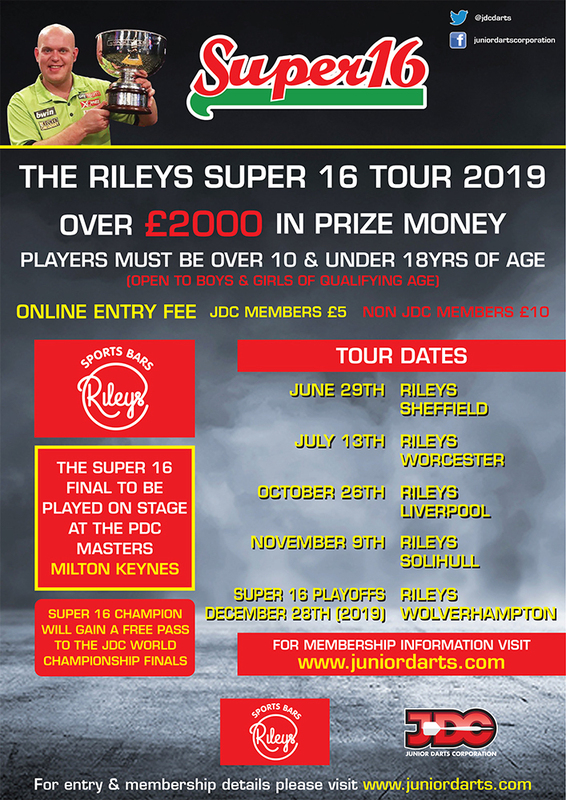 The JDC's second tour of 2019, The Rileys Super16 Tour, will now hold a tournament in Liverpool. 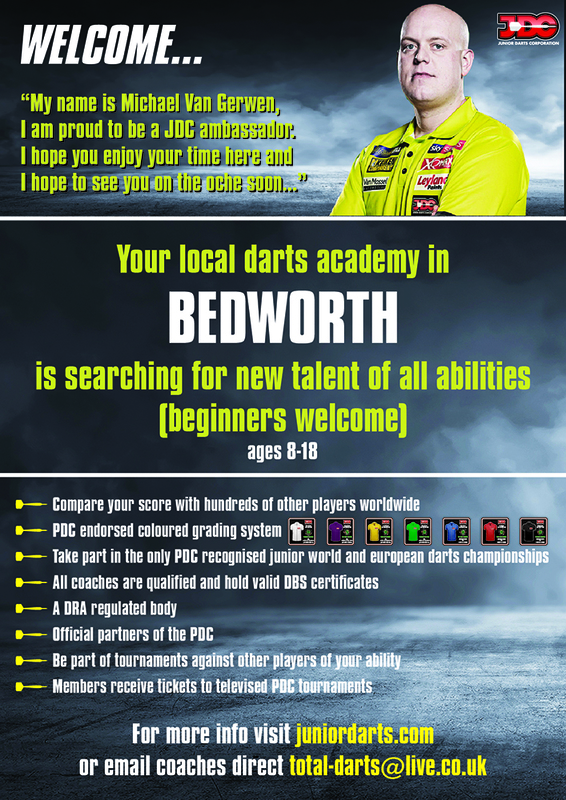 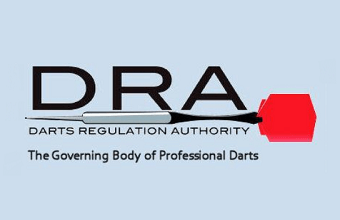 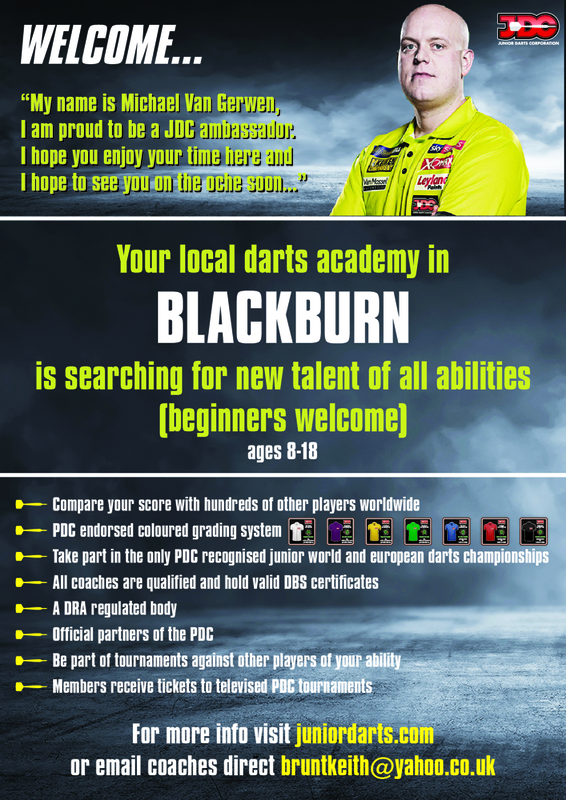 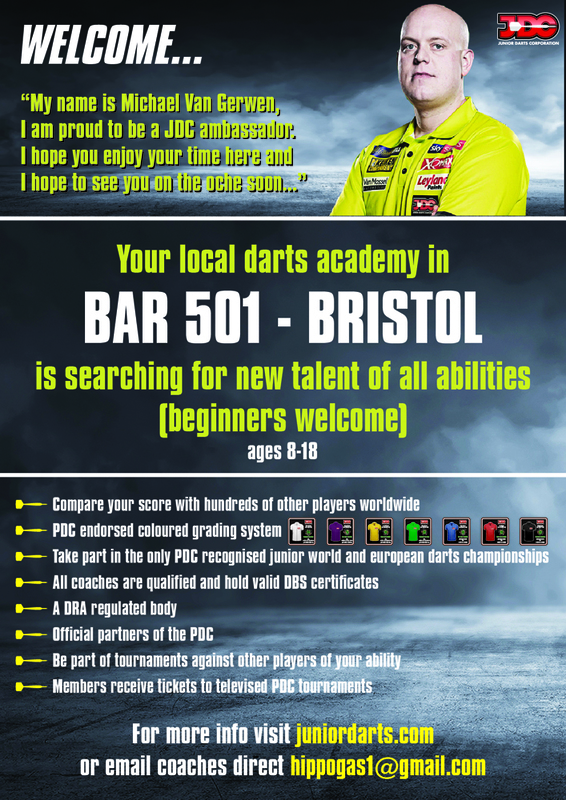 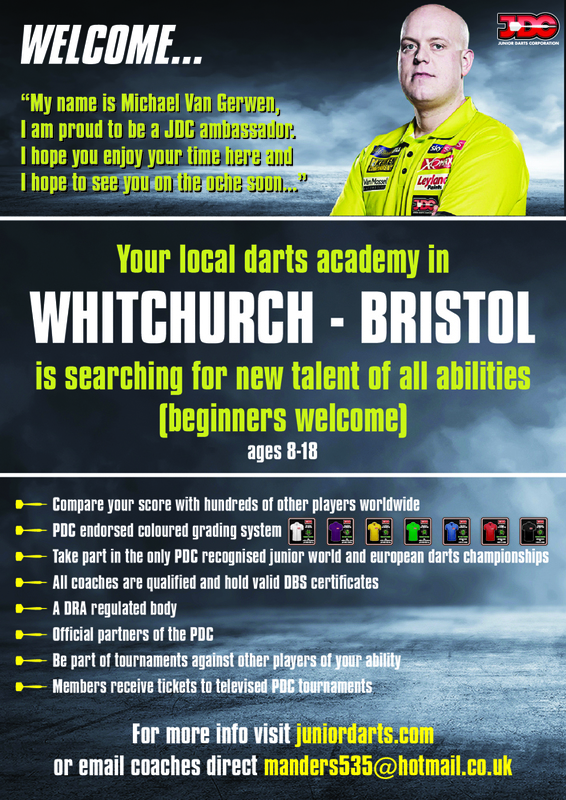 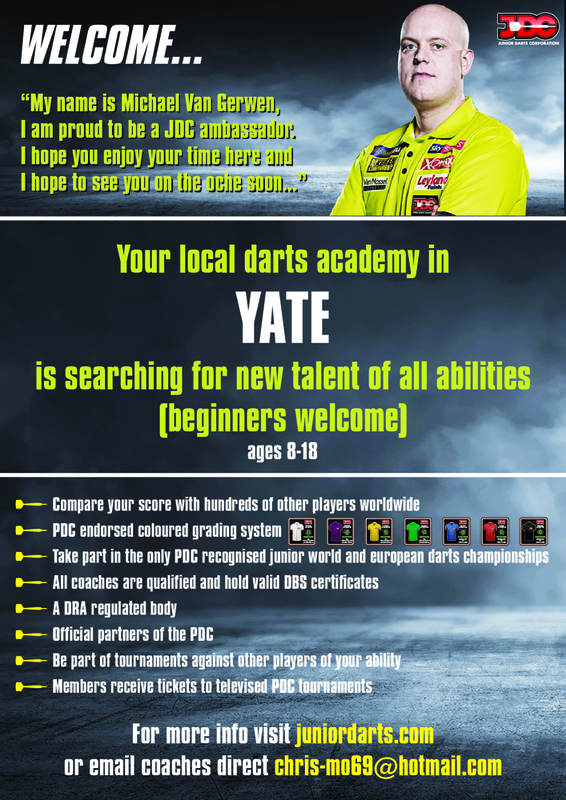 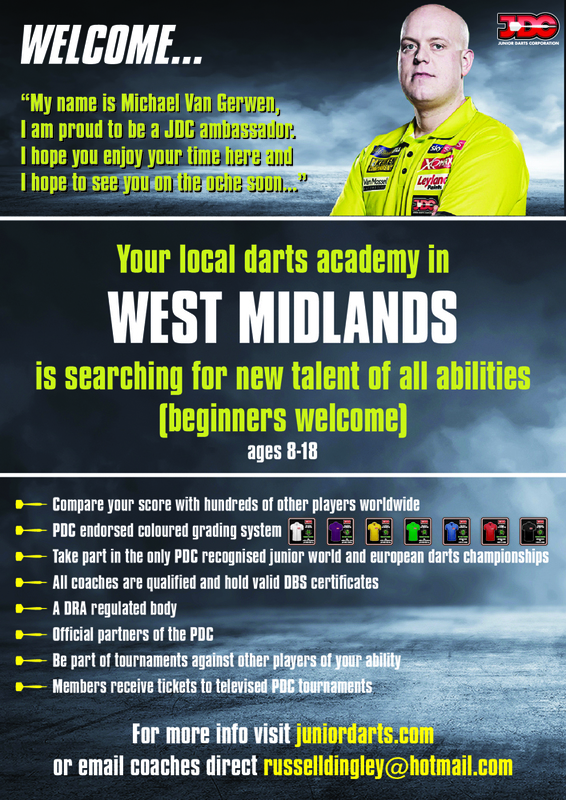 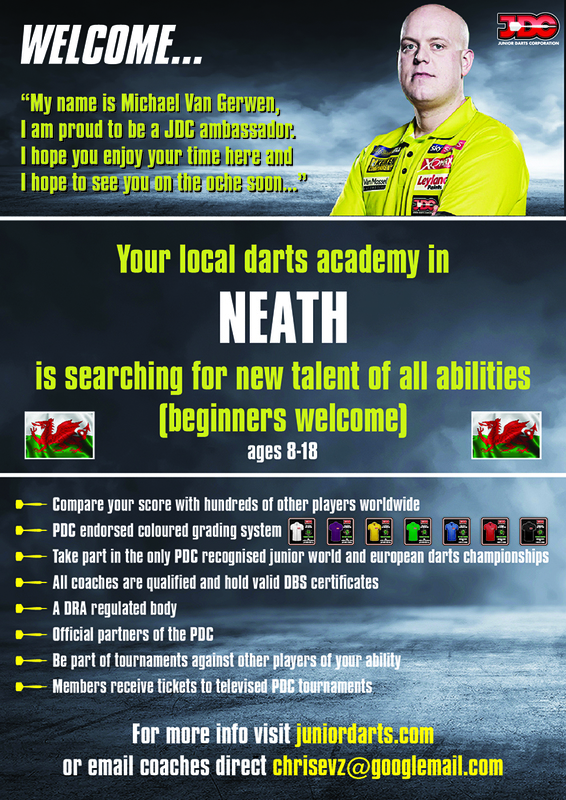 West Midlands Darts Academy gets support from two local ambassadors. 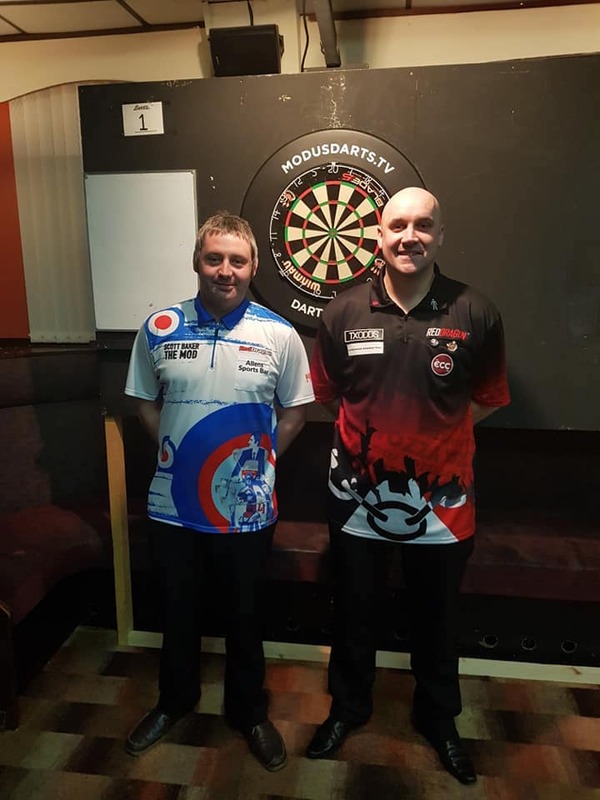 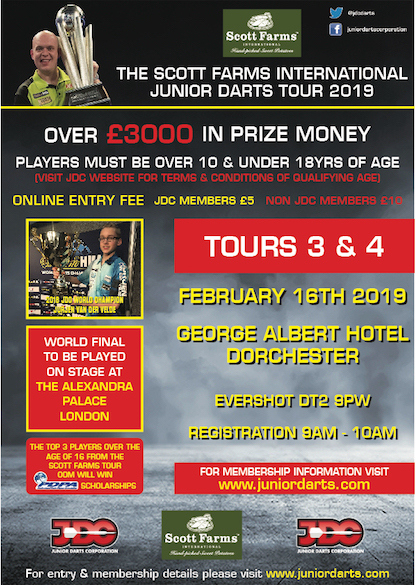 Leighton Bennett secured his second JDC Tour title win of the season in Dorchester as he was victorious alongside James Beeton at the George Albert Hotel. 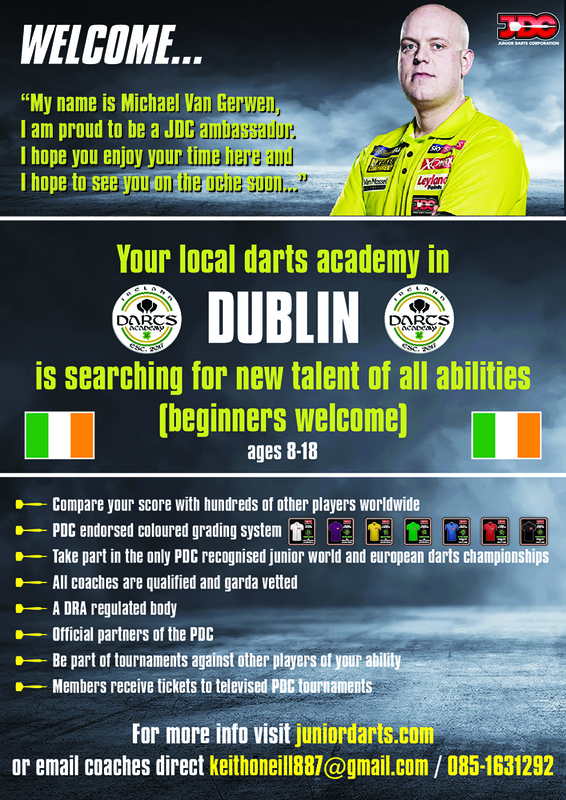 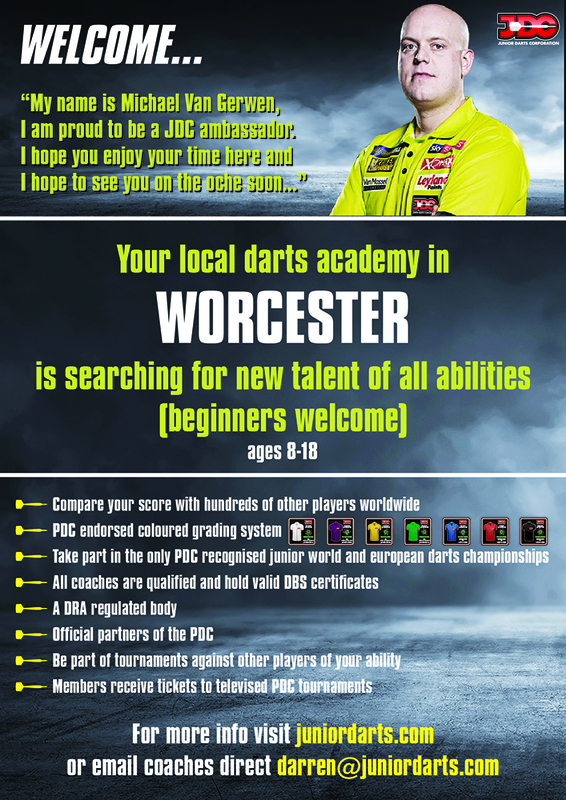 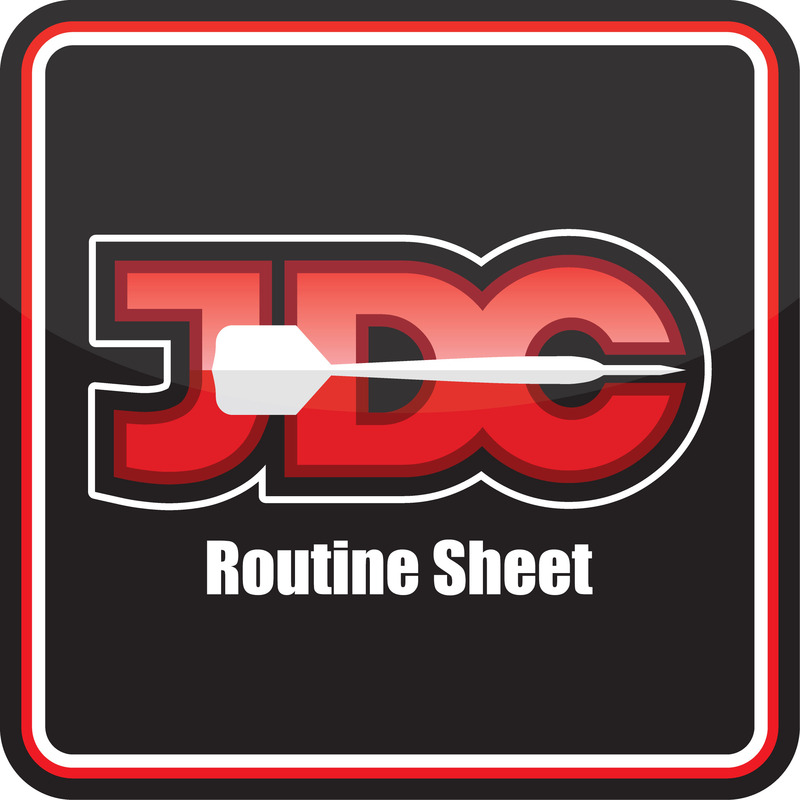 The Scott Farms International Junior Darts Tour arrives in Dorchester this weekend.